How virtual summits motivate people to set their goals and dreams. Why serving people means helping and giving them value. The defining moments in Augustas’ journey. There are a lot of amazing lessons on this episode, so be sure to listen to know more about how you can give back to your community and empower fellow entrepreneurs. Welcome to the Awesomers.com podcast. If you love to learn and if you're motivated to expand your mind and heck if you desire to break through those traditional paradigms and find your own version of success, you are in the right place. Awesomers around the world are on a journey to improve their lives and the lives of those around them. We believe in paying it forward and we fundamentally try to live up to the great Zig Ziglar quote where he said, "You can have everything in your life you want if you help enough other people get what they want." It doesn't matter where you came from. It only matters where you're going. My name is Steve Simonson, and I hope that you will join me on this Awesomer journey. You are listening to Episode Number 76 of the Awesomers.com podcast series and by now I think the secret is out. 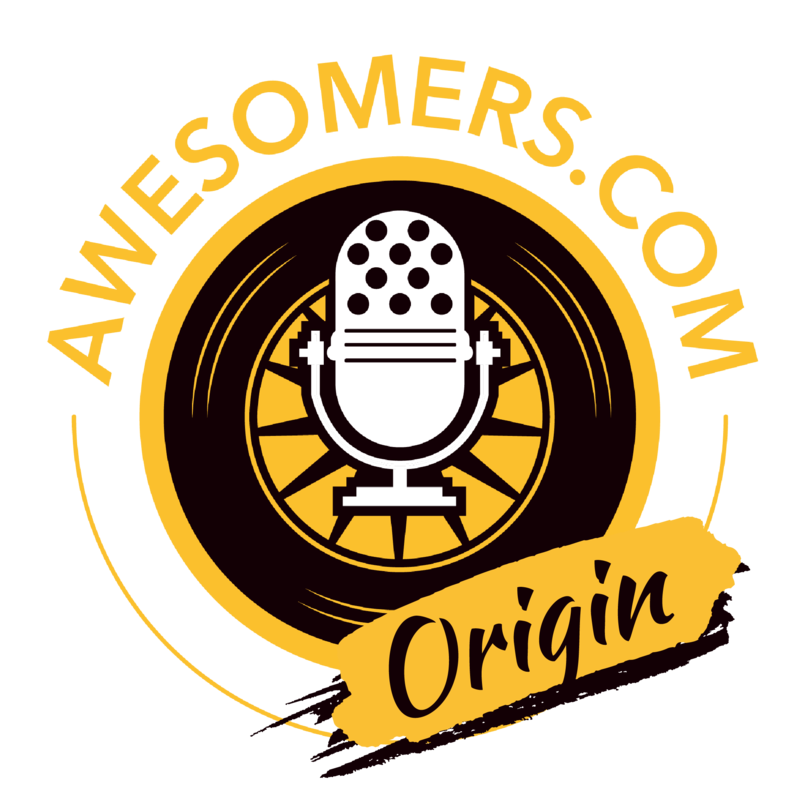 All you have to do is go to Awesomers.com/76 to find today's show notes and relevant details as well as sometimes even a transcript of the entire episode that you can search through to find any key points. It really is something that we put a lot of time and money into to try to make your life easier, so be sure to check that out. 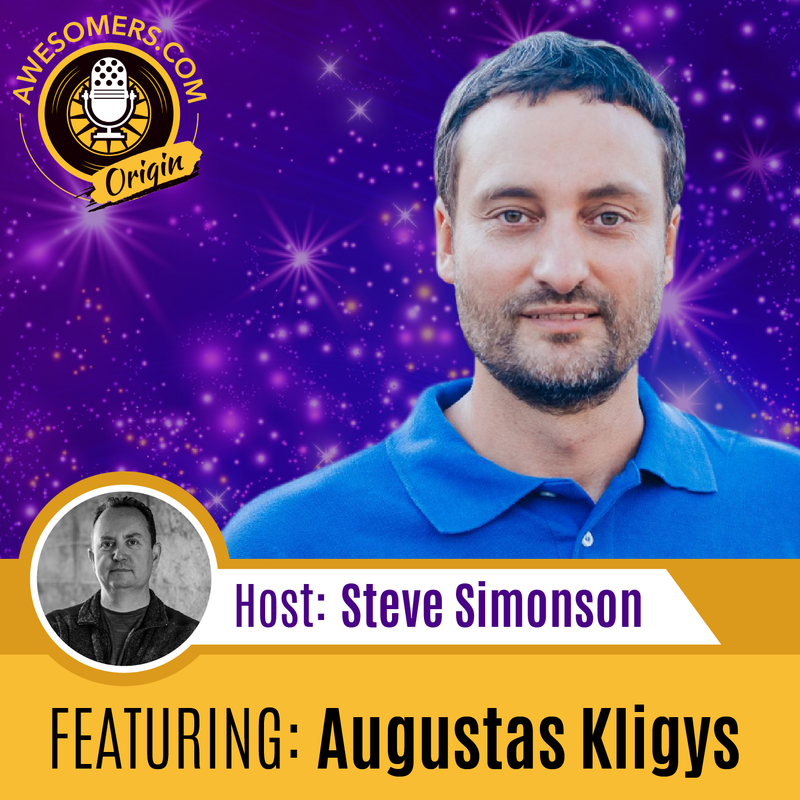 Now, this is today part two of a three-part series with Augustas Kligys and we are talking about some of the ideas that he had in putting together his Amazon summits, these online virtual summits. We talked about yesterday you know where he came from and a little bit about his origin story. We are going to dive further into that and talk about this evolution of information and how people are consuming information online. In particular, this concept that heck you can hold a virtual summit that a lot of people are able to engage in and participate in. They can do it live for free and then later they can buy an all-access pass if they wish to get further access to those speeches and the expert presenters that are on there. So you're going to love again today part two of the three episodes with Augustas. Let's dive in right now. Augustas: Yes. Actually, I'm trying to be very neutral myself. Sometimes I know that speakers contradict each other even during the same event and maybe some viewers point that out, but I always, from a long time ago, I try to be neutral and not to judge opinions of others. So, I always let the audience to judge or to accept what they want, what information they want. Sometimes even maybe I didn't resonate well with a speaker. I didn't like maybe the session I recorded, but I post it and then I get positive feedback. So, I just saw that I shouldn't judge anything and I just yes, try to deliver the best content possible. And yes, I think... I am also not hiding that at the moment I am still not selling on Amazon. I am just enjoying bringing experts closer to the sellers and delivering value and bringing people together. With virtual summits, the disadvantage is that you don't really have possibility to network with other attendees. It's possible to do maybe networking through some Facebook group, which is designed for this event, but I don't like this idea because people will get excited for one week and then they will forget this Facebook group, so I didn't do that. So this is the disadvantage. And actually my next step, my next level out of these virtual events, I'm going to do a real, in-person conference next year in 2019 in March in Prague in Czech Republic. So, it will be my first life event. Hopefully with about 200 people and more than about 15 speakers. So, it will be something new for me, completely different way to organize a summit and I'm excited to bring people together, and I hope they will network. Steve: Well, they'll network. Don't worry. That's a natural thing that happens. It does help if you will stimulate some networking activities or put them in a position to where they're all in the same area. But you know the biggest intangible benefit of those conferences is the networking in my opinion. There's no replacement for such a thing. And online, you'll probably get some ideas later on how to put it together whether it's a you know a Facebook thing or a WhatsApp thing or you know whatever the case may be. But the reality is I think you'll do very well. Hopefully, you've checked your calendar to make sure it doesn't conflict with too many other events because boy, lots of events will happen next year, huh? Augustas: Yes. I think I just make sure that it doesn't conflict with the biggest events, like Prosper Show, but I think that it will be always something conflicting. There will be always dates not fitting someone. So, already sometime ago I took a decision that I decide by myself what is comfortable. I do a soft check, but I don't you know overthink and I'm sure maybe will pop up some other conferences in the same dates I'm doing, but there are – everyone has... how to say, there are abundance of sellers for us even if there are ten conferences. I'm sure we all can get our own clients. So, it's not a problem. Steve: That's always true. Yes. I just know that there's some conference goers that would love to be in Prague and also would love to be in Vegas. So, hopefully those dates will work. So, let me ask you this. First of all, how did you pick Prague? Obviously, you have a very strong European-centric background, but was Prague a specific reason? Augustas: Yes. I want to do an English-speaking conference. And for me Prague is or Czech Republic is Central Europe, so Prague – in Europe, we have a lot of cheap low-budget flights in airplanes. So, from different parts of Europe people can come to Prague with a low-cost flight direct, with a direct flight. So, this is one of the ideas. The second one is that Czech Republic is perceived as a cheap destination. For example, I could of course do it in UK, London, but Eastern Europeans might be afraid to go there because they know everything is expensive there. But Czech Republic is considered cheap destination. And the third one is that Prague is very well promoted in the world or in at least in Europe. And when I tell to someone I will do event in Prague, they say, “Oh, I haven't been in Prague for 20 years and it's a perfect opportunity to visit it” or they say, “I always dreamed about Prague.” So, I just want to create an opportunity for them, a reason to come and visit it again or for the first time. Steve: I love it. It's very smart. Definitely, I think Prague is a very attractive destination. So that's a very smart move there. So you talked about your university a little bit earlier that you have a master's at Computer Science. Did I get that right? Steve: Okay. And how did you like being in university? Is that something that you enjoyed? Augustas: Not really. I was following the flow of the society that I finished school, which was the best in the country or in the city. And 99% from that school enter university, so I had to enter university. I finished four years of bachelor degree in my in Vilnius, in my hometown. And then during my first four year studies, I discovered my new passion, which was hitchhiking and travelling around Europe. So, I hitchhiked to many, many countries and kilometers during my study times, and I got addicted to get to know new countries. So that's why my goal was to study, to prolong my studies in some other different country. That's why I moved to Denmark. But after I finished, even my professor was offering to do a PhD in Computer Science and Data Engineering. I was not sure if this is my path. And I ended up to do more travels in the next few years. I met my wife who also had a dream to travel the world, so we ended up traveling the world for five or six years. We were just, yes, homeless in some way. Steve: I like that you know you were a digital nomad before that was even a term. I like that visual because... So you really loved to travel. That's very clear. And you found your wife along the travel. She loves to travel too. That makes it very interesting. And here we are, as we're speaking now, you're 11 and a half hours away from departing on your next big adventure. So let's say… and you said you have a little daughter with you now, right? Augustas: Yes. We have a son, a 6-year-old son. And another reason is why we go, we are still looking for a place to live because we want to practice unschooling for our son, which is not bringing him to school. And our home countries, they obliged to bring children to school. So we have to, we cannot be there anyway. Within one year, we would need to move because from seven-year-old, he would have to go to the school. So this is another challenge we're applying in our family, this unschooling. And this we learned through our trips, our travels, from our own experience at school, and the university. We just believe this is the right way. If it is correct way, we will see probably after 15 years. But we believe in the unschooling idea, and this is what we will try to follow. Steve: I love it. You’re a big thinker. That's very clear. I definitely, it's ironic that somebody you know who's so well educated, masters, that you are part of the unschooling movement which is to you know give kids a better choice and a better way to learn in their natural environment, and I think they're going to do great honestly. I'm a big fan of that. So let's talk about some of your defining moments or maybe you have one that stands out in your mind. So from the time in university to now, was there a defining moment where you said you know, “This is important to me” or that set you on the path that you're doing today with the virtual summits for example. A special thank you to our sponsors out there who are keeping the lights on over here at the Awesomers.com podcast. Let's take a listen and have a commercial break right now. Augustas: I think one defining moment was when I met my wife, and we both shared that we have a dream to travel the world. And this opened us for us, yes, our eyes like we learned so many things. I have been in more than 60 countries. I traveled and lived in dozens of countries. Yes, we lived in India, in Australia, and we were in US last year. And also I travel hitchhiked and by buses in Africa, Eastern Africa. I lived in black people's township in South Africa. So we have seen a lot of different ways how people can live, what does it mean poverty and to be rich. I have met millionaires and very poor people. And yes, we kind of learned to see the world in different way I think. And that's why sometimes, we have difficulty that even our family members, our blood family members have difficulty to accept what we are doing. And so this was really eye-opening, all these travels. So this is what formed us, how we are living life now. And to be making the virtual summit was a big challenge. And just because I pushed myself and I did my first virtual summit, I should be thankful to one course, which I took which was about creating virtual summits and if not that course by Navid Moazzez, I would have probably still be programming and struggling also financially. So basically virtual summits made me to build an online business which I could scale because with website programming I was my own boss, but whenever we traveled, I couldn't work. And it means we were going into minus and I had to look for opportunities to find time to work and generate income for my family. Steve: Well, that's pretty clear defining moment, right? The idea that I can't scale my own time beyond my own time. And that's a lot of entrepreneurs find themselves faced with a similar challenge of I want that freedom lifestyle, I want that to be able to do what I want, when I want, where I want, with whom I want. And that's a great dream, but to pull it off, you really have to have kind of diversified cash coming in or the ability to make money wherever you are. And obviously with programming, you could go wherever you want it, but you still had to do the programming. So now you've got a you know this new kind of business model. I appreciate the shoutout to the course that you took. I haven't heard of that by the way, but we'll try to find a link and put in the show notes for people. This type of just thinking outside the box is what people who are motivated end up, they do that by default, right? You weren't satisfied with whatever was happening, and so you just tried to figure out how to solve the problem. You study the FBA model, not ready for that you know capital wise, time wise, whatever the case is. And then, you found another model that seemed to work. And now you're really pushing into that in a very significant way. As I recall, somebody told me that you had you know thousands of attendees to a recent summit. Is that a fair number? Augustas: Yes. I think all my summits got between 2,000 and 3,000 attendees. So, my most recent summit was called AMZ Q4 Strategy Summit and I think I got around 2,000 attendees. Augustas: And yes, what I wanted also to add that in order to realize what you want or like to find out new ways to live your life, I think it's important to set your goals and to have dreams. And this is what this virtual summit this is what was happening. I set a goal to help people, to serve people about four years ago. And that night when I – actually it happened after our six or seven years, five or six years travels. We were back in Europe and I didn't know what I want to do. I listened a lot of spiritual teachings from U.S. and I was lost because they say, “Yes, do what you like,” but I don't know what I like. And then I understood what some of the teachers meant by saying serve people. At the beginning, I – maybe because of language barrier, I understood that they say be a slave of somebody else, which I didn't like, but later I realized serving means helping giving them value and you will get this energy back of appreciation maybe monetary energy. And so when I understood what means to serve people, I made my goal to serve people. And I didn't know how it will end up, but one and a half years later, I created virtual summit and this is how I started to build audience and to see how I'm helping people. And also actually, my wife reminded me during maybe third summit that, “Augustas, look, you are realizing your dream which you had 15 years ago to organize events.” And I'm like, “Oh yes, that's right.” So, I started to realize my dream which I have forgotten. After finishing Master degree, I had an idea to organize events. So I started to search for a job in event organizing companies, but they didn't really know what they want to do inside such company. So yes, everything comes back. Steve: That is fascinating I guess retelling of the fact that you really were thinking of events stuff way back in the old days. So, it's amazing that it's come full circle. So I'm actually quite interested in this idea that you know so the idea of language standing in the way. So other people said, “Hey, serve people,” and that could absolutely be misunderstood, right? “Hey, you know serve people. I want to you know, I want to have a freedom lifestyle not serve people.” But part of the motto of this webcast and part of the way I try to live is from a Zig Ziglar quote. I don't know if you ever heard of Zig Ziglar, but he was a very famous motivation sales guy here in the US and what really spectacular impact on the world is he has impacted 200 million entrepreneurs around the world. And one of his phrases that he used is that you can have everything in your life that you want if you help enough other people get what they want, right? And that's kind of what you're doing today. Not only are you putting on these events which is nice, but they, what you're actually doing is you're connecting people with knowledge. You're connecting service providers with potential clients, the clients with problems with potential solutions. All of that is really, really important. I have no doubt having an impact with all of your attendees. Have you had any success stories that have come back to you from attendees or from speakers that have helped you resonate that message and see it really pay off for people? I'm going to just jump in here for a minute, take a quick break and be right back after this. Steve: What a fun guy Augustas is and what a generous fellow to take time literally just 12 hours before leaving on a long 4000-kilometer road trip. Now, I'm no expert in math, but I think 4000 kilometers equals I don't know 1 billion miles or maybe I'm doing the math wrong. But either way, he's got a long road trip ahead of him and yet he still took the time out to join the Awesomers out there like you and share his story and share some of the ideas that he had in building his virtual business. Augustas is a great guy, and I certainly would encourage everybody to pay attention to our next episode, which is tomorrow. That's part three of three, but today was part two of three. And it was Episode Number 76 of the Awesomers podcast series. Just go to Awesomers.com/76 to see any show notes and details and so forth. And now is always good time to show some love. Let's get out there and share this with everybody you know and tell them what a hero Steve is. That's right, a hero. All right, I'm not really a hero, but either way you could share. Thank you.